A Red Bank man who claims a police officer severely beat him during a traffic stop six months ago is crying foul after Red Bank police investigated and decided the officer did no wrong. A video from the April 13 traffic stop shows Red Bank police officer Mark Kaylor punching 24-year-old Candido Medina-Resendiz in the arm and face while other officers held him down, tased him and tried to handcuff him. The encounter left Medina-Resendiz with a swollen-shut eye, a fractured eye socket and cuts and bruises on his face. Medina-Resendiz filed a complaint of excessive force against the Red Bank police department on July 31 and the internal affairs investigator concluded on Aug. 25 that Kaylor did not use excessive force. But attorneys Kyle Mothershead and Andrew Free say that Kaylor clearly crossed the line when he punched Medina-Resendiz in the head seven times while Medina-Resendiz's face was pressed against the pavement. Mothershead and Free are considering filing a lawsuit against the department now that the internal affairs investigation is finished. Red Bank Police Chief Tim Christol said he can't discuss the incident. "Given the expressed intent of the attorneys in this matter to file future litigation, it would be inappropriate for me to discuss the matter pending disposition of that action," he said in an email. Kaylor initially pulled over the car Medina-Resendiz was riding in as a passenger just after 3 a.m. on April 13 and discovered that the driver was intoxicated. As Kaylor arrested the driver, Medina-Resendiz - who was also intoxicated - got out of the car. Another officer attempted to put Medina-Resendiz in handcuffs, and that's when the altercation started, according to video and reports that Mothershead and Free provided to the Times Free Press. Multiple officers tackle Medina-Resendiz and attempt to handcuff him, but Medina-Resendiz pulls his hands under his body. Kaylor puts his hand on Medina-Resendiz's neck and appears to hold his head down. When Medina-Resendiz continues to struggle, officers tase him twice. Then Kaylor lays his upper body on top of Medina-Resendiz's shoulders and punches him seven times in the head. Medina-Resendiz is shouting and screaming throughout the incident. Medina-Resendiz was charged with simple assault, resisting arrest and driving under the influence by consent. 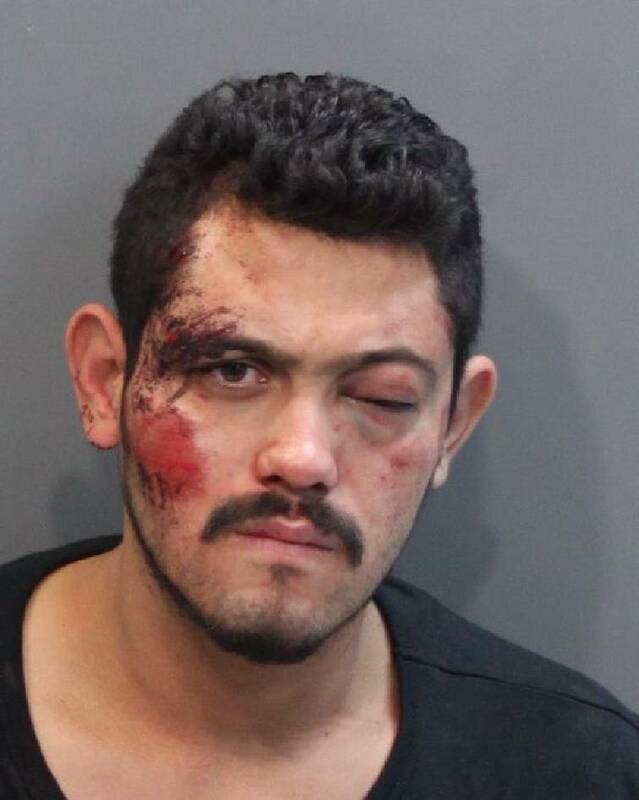 Because Medina-Resendiz owned the vehicle, he was charged for allowing an intoxicated person to drive his car even though he was not driving. Read tomorrow's Times Free Press for complete details on this story.